The team at KR Dental are also trained in facial injectables to assist with jaw disorders such as TMJ and its associated side effects. Treatments such as anti-wrinkle injections and dermal fillers also offer a number of aesthetic benefits, including reducing the appearance of fine lines and wrinkles, as well as giving the skin a youthful appearance. Anti-wrinkle injections, also known as wrinkle relaxers, are injected into specific facial muscles to relax them. Scientifically speaking, they work by blocking the transmission of a nerve impulse between a nerve and a muscle, therefore stopping overactivity or spasming of the muscle. When this happens, it also lessens the appearance of existing wrinkles and prevents new ones from forming. Dermal fillers, on the other hand, are used to improve the skin’s hydration and texture, along with restoring and ‘filling’ volume loss to areas of the face, such as the lips and cheeks. While anti-wrinkle injections are injected into muscle, dermal fillers are actually injected into the dermal layer (i.e. the lower or inner layer) of a patient’s skin. 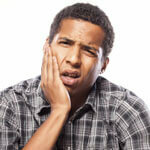 How do Injectables Assist with Jaw Disorders? If you’re suffering from TMJ (temporo-mandibular joint disorder) or any other jaw disorders and their associated jaw tension and pain, then KR Dental can go one step further in the successful treatment of these conditions. Not only are our anti-wrinkle injections safe to use and trusted by a range of medical health professionals, but they’ve also proven to be effective in relieving TMJ and jaw tension for many patients. The wrinkle relaxers are injected into overactive and spasming facial muscles to minimise swelling, ease discomfort, and eliminate headaches which often result from teeth grinding. Our injectables are a straight-forward, non-surgical procedure and are therefore administered right here in the comfort of our practice. Are you suffering from overactive jaw muscles or simply wish to find out more about our anti-wrinkle injections and dermal fillers? Please contact KR Dental today!